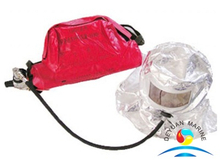 Our EEBD(Emergency Evacuation Breathing Device)has been designed according to SOLAS and IMO MSC/Circ.849. 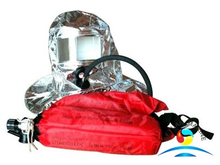 it is an important onboard life saving device that widely used in cargo ships and passgenger vessels, for escaping a dangerous enviroment that lacks normal breathing conditions cause by smoke from fire,gas leaks etc. our EEBD(Emergency Evacuation Breathing Device) comes with CCS and EC certificate, breathing oxygen for a time period of 10 minutes or 15mins. If you are interested,pls feel free to contact our sales team.